Recently, I started cooking on a professional level. I am a personal chef for this great woman in downtown Austin. She was a client of Scott’s for his health & weight loss firm (more on that later) and I stepped in to cook lunches and dinners for her. So far it has been amazing! Working on the menus is very challenging, but it has turned out to be my favorite part of the process. I love coming up with healthy, interesting meals. Here are some of my favorite dishes I’ve prepared so far. 1. 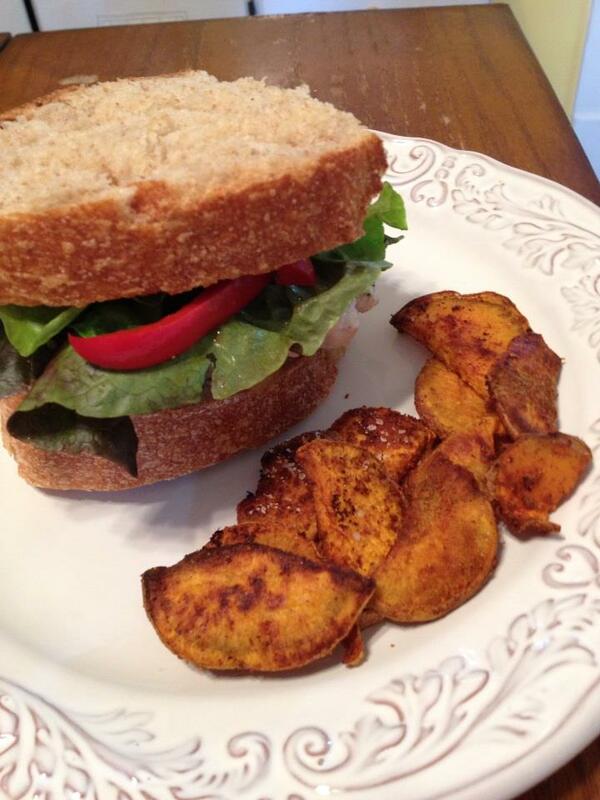 A turkey burger with red bell pepper, blue cheese mustard, butter lettuce, and carmelized onions. Served with sweet potato bites. 2. 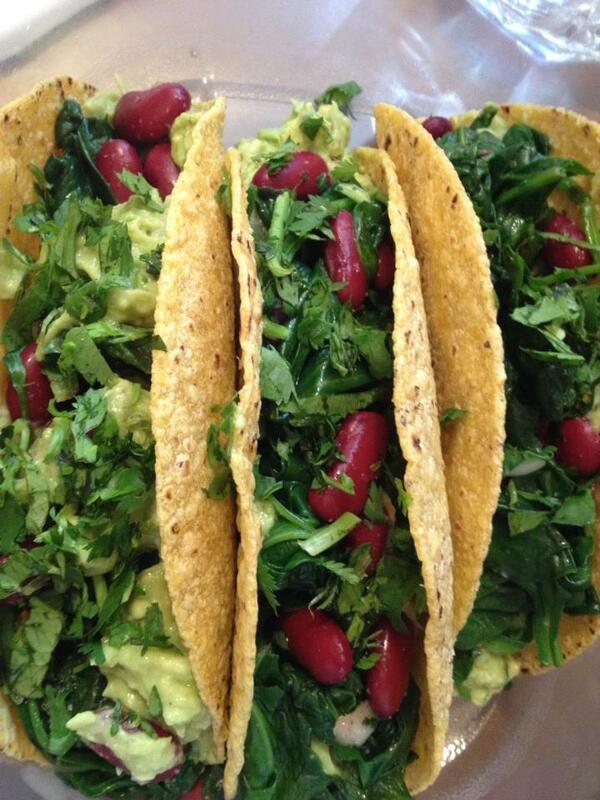 Sprouted corn tacos with avocado, garlic kidney beans, kale, and cilantro. Topped with sour cream! 3. Zucchini noodles!! These are my obsession. 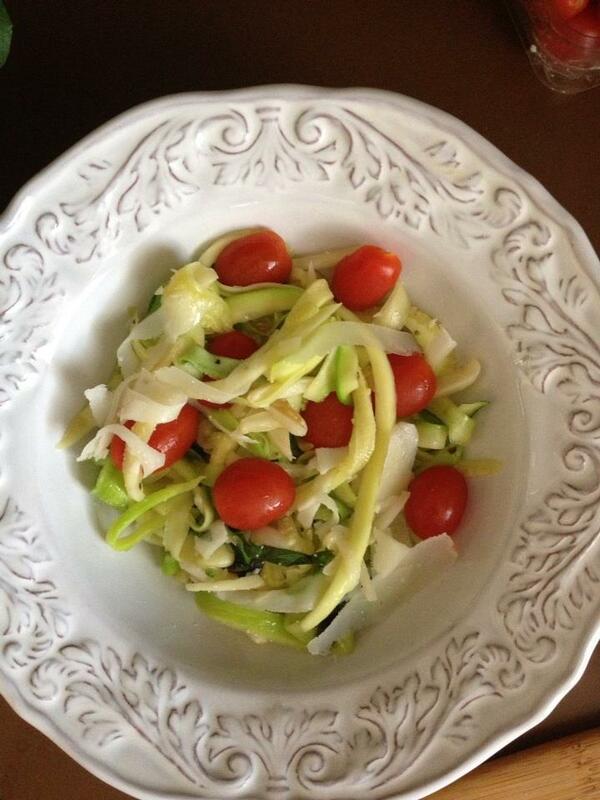 I wish it didn’t take so long to peel one zucchini into a serving of noodles, or I would eat this every day. Served with garlic, olive oil, Locatelli romano cheese, and cherry tomatoes. 4. 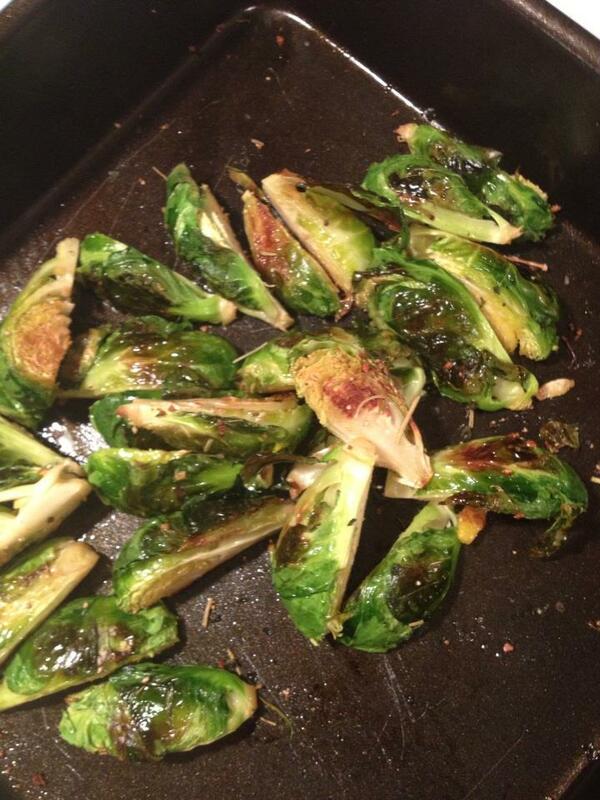 Roasted brussel sprouts. Salty, crunchy, and perfect to dip in hummus. 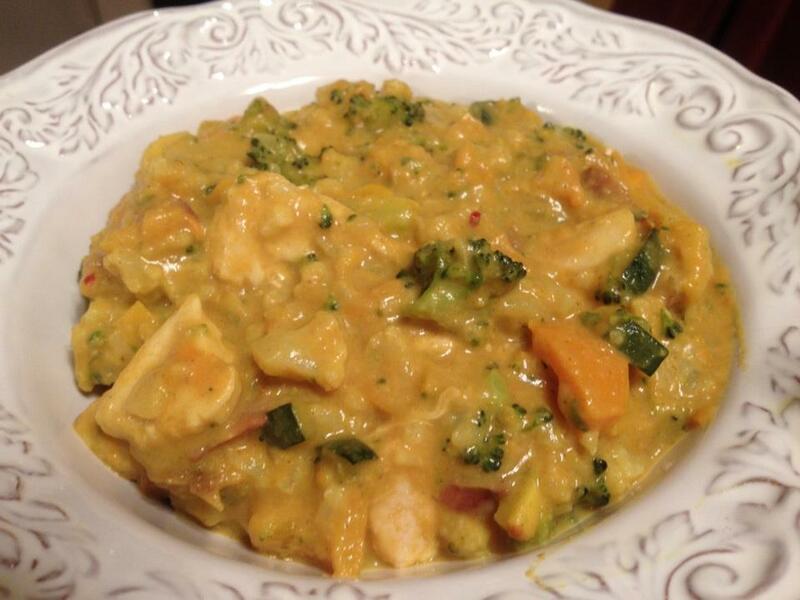 Now that I’m inspired, it’s time to work on this week’s menu… Have a great day!